If you have not already modified your ride then you are missing out on a big opportunity. The car modifications are in vogue for car users, as they use these to express their individuality. You can also perform the following best car modifications to customise your ride according to your taste and personality. The replacement of your car wheels is one of the best car modifications you can do with. Properly upgraded wheels not only enhance the styling of your car, but also support better handling and control. The appearance of your car also gets beautified along with the fuel economy by virtue of a reliable wheel set. Irrespective of the nature of your ride, a wheel upgrade is a must have for your car. This is where the sound gets produced in the ride. Your car can easily turn heads and get noticed owing to its pleasant and attractive sound. This makes it one of the best car modifications. You have the liberty to just tweak your exhaust system through a catback kit or a muffler upgrade. Similarly, you can opt for an all out upgrade with high-flow catalytic converters, headers and performance-tuned mufflers. This is another easy to execute and one of the best car modifications for you. All you have to do is to choose a combination of pad and rotor for your ride. Your car will be a lot safer and easy to handle giving you an immense driving confidence as a result. If you desire to go a little deeper, you can also have specialized brake components such as, fluids, high-performance calipers and brake lines for your beloved ride. Auto factories usually have tight budgets, therefore, they compromise on vehicle’s filter and air intake system for cost cutting. Engine power can be augmented while slashing the maintenance costs through the upgrade of reusable filters and the air intake system. There is a whole world of options for customising the suspension of your car. You can either overhaul the entire system or opt for a few component replacements while planning to upgrade the suspension of the ride. Some of the options include a sway-bar kit to sharpen up handling, a trail-ready lift-kit, camber kits, adjustable shock absorbers, a full set of race-ready coilovers air suspension kits for show-cars etc. Chrome is one of the most ever green car styling techniques of all times. You can either go for chroming some distinctive parts of your ride giving it a refreshed look or you can buy full-out show-car chrome accent kit. Either way, it is one of the most convenient methods to enhance the visuals of your car. You can also upgrade tyres to suit your specific driving requirements abandoning the general purpose ones already mounted on your ride. You can switch to specialised tires for racing, winters, off road driving and other adventures of yours. I am a firm believer of the saying that a man is known by the car he keeps, do you agree? 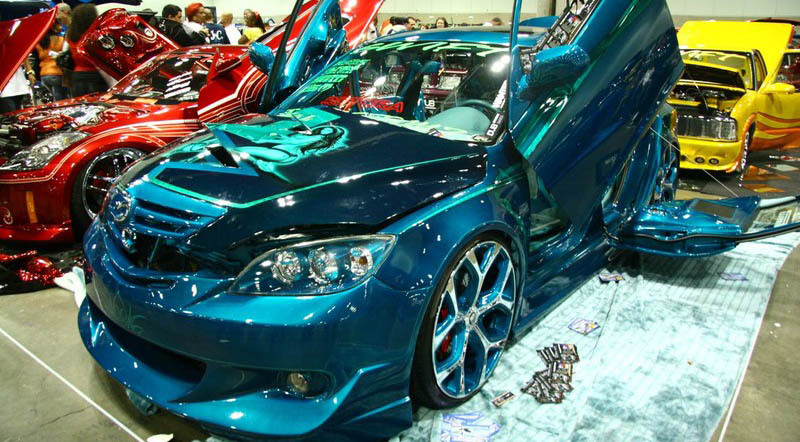 Your best car modifications are sure to reveal the real you, so you should never hesitate to personalise it.